Anyone who reads my blog regularly will know that I'm a huge fan of ordering new specs online. 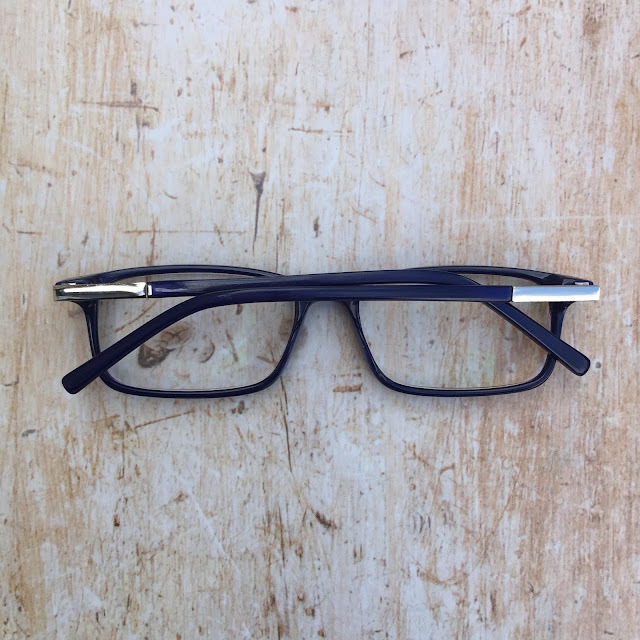 As a constant eyeglasses wearer I spent years almost bankrupting myself on expensive frames and lenses - and then a few years ago I discovered ordering them online, and since then I've never looked back. 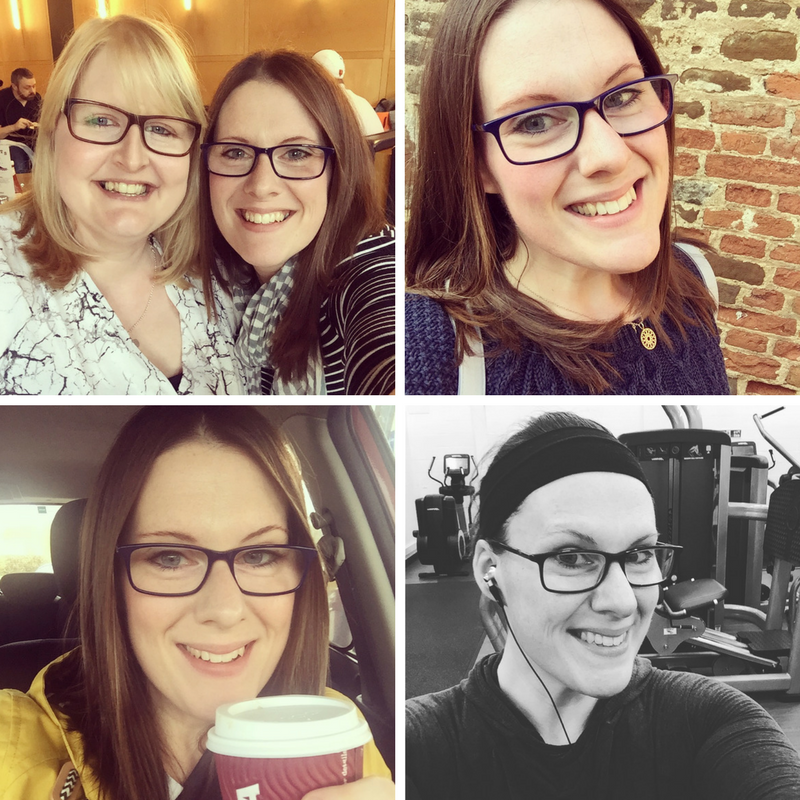 I now have 5 different pairs of glasses to choose from, before online ordering I would only ever have been able to afford one pair at a time. 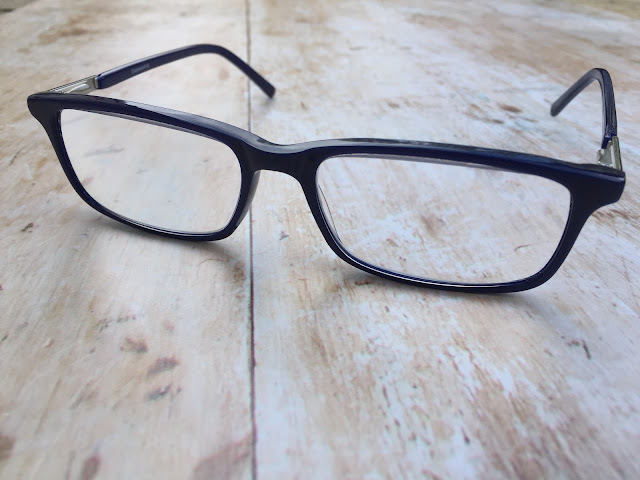 The principal is simple - get your eyes tested regularly at your chosen opticians, take away a printed copy of your prescription and then use those prescription details to order your frames online. 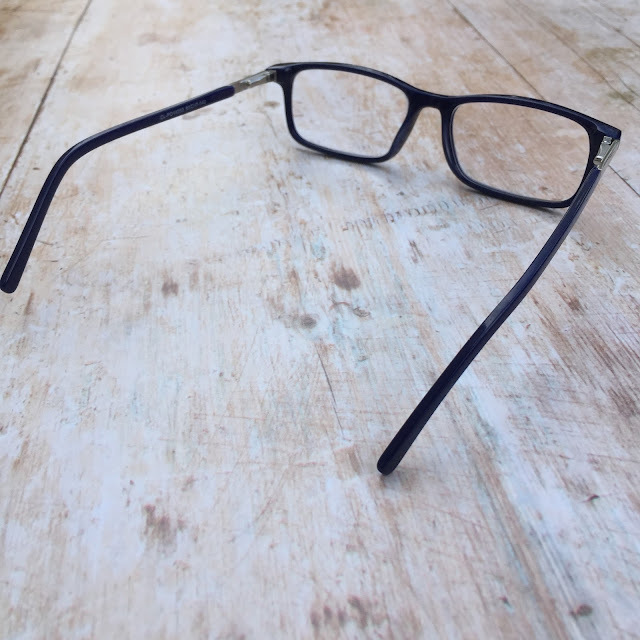 Most online ordering services I've used have a 'try on the frames at home before you order' service, so you can try on multiple pairs to get the best frame for you. If however, like me, you know what shapes/styles suit your face after years of wearing them non-stop then you can just order straight away without a try on process. The people over at GlassesShop.com asked me to give a pair of their specs a test-drive, and never one to turn down some new glasses frames, I headed straight to their website to browse their ranges. 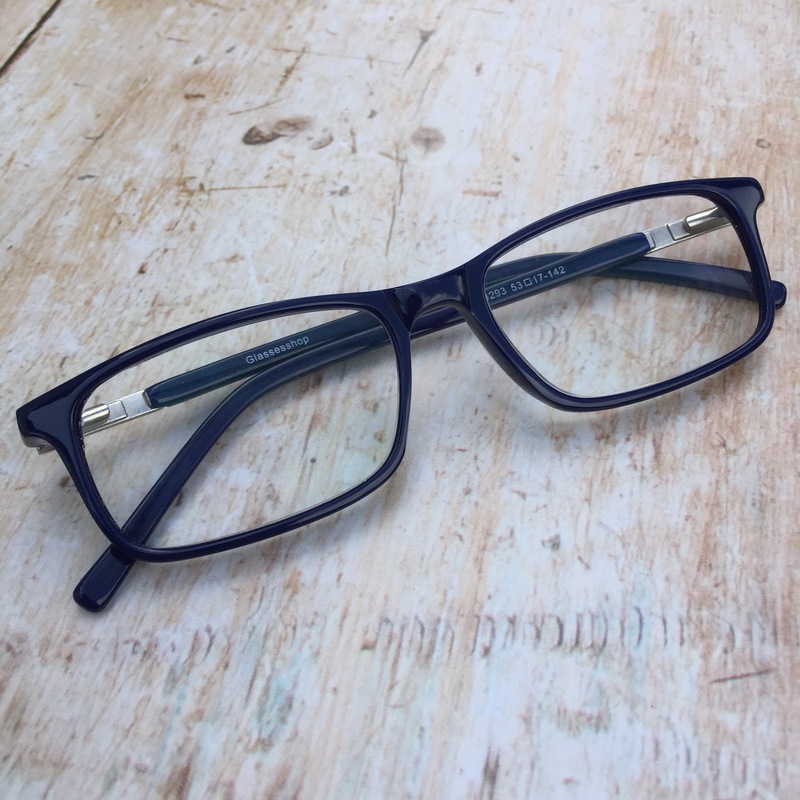 There are so many frames to choose from - I had a job choosing a favourite, but in the end I settled on the Cancer Rectangle Blue Eyeglasses, I've never worn blue glasses before, and considering that 95% of my wardrobe is navy/white stripes I figured they'd pretty much match everything I wear! The online ordering process was super straight-forward and my glasses arrived swiftly and fitted perfectly! Hooray! I love it when a plan comes together without complication. Here they are in all their glory! These frames are currently priced at $45.95/£36.94 with free single-vision lenses, what a bargain! I've loved wearing them and have had lots of compliments over the past few weeks. 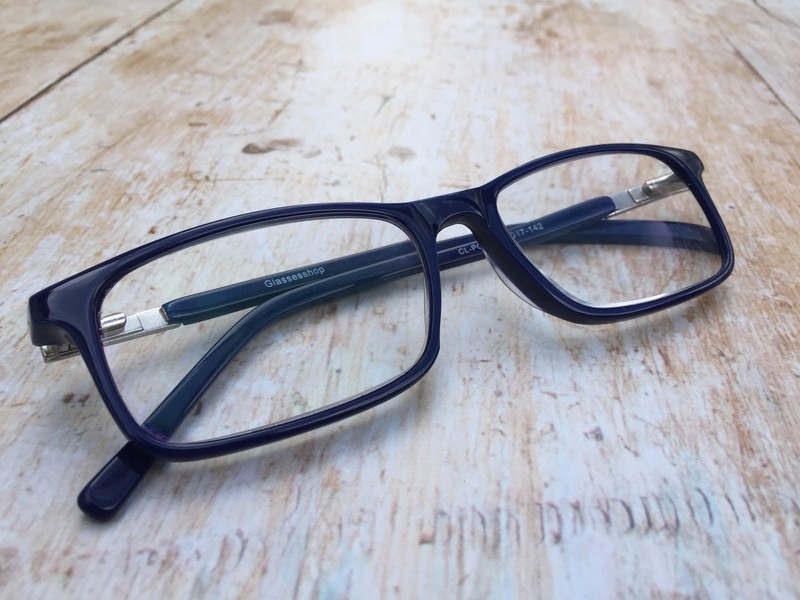 They're super comfy and the colour is lovely - they're an especially vibrant blue when you wear them out in the sunlight. I've found the prescription to be spot on and had no dizziness or headaches when I first wore them, which is fab! All you could ask in a new pair of glasses really! Here's some obligatory 'me wearing said new glasses' photos! What do you think? Next on my list is grab myself a pair of their brilliant prescription sunglasses in readiness for the nicer weather! If you'd like to get yourself a pair of glasses or sunglasses from GlassesShop.com then you can receive a whopping 50% OFF eyeglasses and sunglasses with free lenses (sale frames excluded) with code GSHOT50. I was sent a free pair of prescription eyeglasses in return for this honest review. I have to thank you for ones time for this especially astonishing read!I would like to thank you for the efforts you have made in writing this article.